Magneti Marelli has been involved in motorsport since the company’s foundation in 1919 and its history is intertwined with some of the most famous race wins and significant successes in the history of the MotoGP and the Formula 1 World Championships. Magneti Marelli Motorsport designs and produces state-of-the art electronic and electro-mechanical systems for two- and four-wheeled racing vehicles. In particular, it develops high-tech systems for engine & vehicle control, fuel injection, data acquisition, race telemetry, electric powertrains and high-performance automatic transmissions. In addition, Magneti Marelli also supplies ancillary components such as dashboard displays, alternators, voltage regulators, ignition coils, pressure regulators, and fuel pumps. One of the fastest areas of development is Magneti Marelli’s research work on energy recovery systems (ERS), such as those used in Formula 1 and other professional motorsport series, as well as the electric motors and inverters used to power Formula E electric race cars. Magneti Marelli Motorsport has its headquarters in Milan, Italy, with manufacturing plants in Turin and Bologna, supported by application centres in key global locations, including Brazil, France, Japan, UK and USA. Ultimately, Magneti Marelli’s passion for motorsport is driven by its people and the company’s devotion to innovation – of which motor racing is the perfect expression. Races are no longer won only on the race track: communication is key; and not only between the pit wall and driver, but just as importantly between the garage and car control systems. It should go without saying that simplicity is the key – one control unit for all functions. The team is able to rely on continual radio coverage around the circuit for the acquisition of data from the vehicle’s control systems and also for communication with the driver. Of course, the system is also designed so that the FIA may also effectively monitor all vehicles in the race. Magneti Marelli’s V2X system is a two-way WiFi system used for the transmission of voice and data signals from car to the team in the garage and on the pit wall. It made its debut in Formula 1 in 2014. From its first use clearly outclassed traditional radio systems in terms of the quantity and quality of information provided. The latest step in its development has been the provision of Full HD video transmission. Winning performance comes not only from the power of the engines but also the ability to control them, Magneti Marelli Electronic Control Units (ECU) were born for racing and are the choice of many top racing team. Development in the extreme conditions of Formula 1 is also reflected in the “mid-range” ECUs produced by Magneti Marelli. For the MotoGP™ championship, Magneti Marelli is the sole supplier of engine control units for Dorna, and for all of the teams that currently feature on the grid. The hardware used offers the highest performance and ease of use, thanks to the adoption proprietary software such as Matlab and Simulink. In addition to ECUs, the motorsport catalogue also includes a range of power management units, voltage regulators and displays. 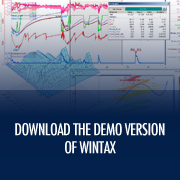 Complementary to telemetry is the capability to quickly analyse data. The data analysis software developed by Magneti Marelli Motorsport guarantees the highest levels of reliability and ease of use. The same principle is applied to the software management tools for all electronic instrumentation, designed to better respond to team and manufacturer requirements of ease of use and precision. Deep within Magneti Marelli’s DNA is the mission to innovate and the world is full of opportunity – openness, sharing and exchange are our keywords. 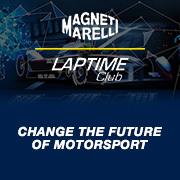 Inspired by this ethos, in 2014, Magneti Marelli launched the LapTime Club. 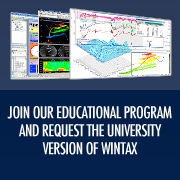 A digital community and virtual workshop of high-tech ideas. · searching among the community members for outstanding people to become part of Magneti Marelli Motorsport. Motorsport is and has always been the ultimate opportunity for Magneti Marelli to create, design and test new technologies in extreme conditions – that can then be applied to mass-produced vehicles the world over. In some cases, technology demanded for standard vehicles can be tested and further developed in the hot-bed of motor sport competition. This two-way technology transfer pushes vehicle dynamics and performance into new territory; in terms of efficiency, safety, fuel savings and reduced emissions, alternative engines and electronics all in the pursuit of ever more intelligent mobility. This helps some of the world’s most prestigious Championships to look after safety, policing, scrutineering and performance balance. One of the latest areas of intensive development is the ‘power unit’ which combines H-ERS (recovery of waste heat energy in the exhaust gases) and K-ERS (recovery of kinetic energy from braking). Both these technologies contribute to increased power available to the driver while also lowering overall fuel consumption. While this solution was created specifically for motor sport applications, the Magneti Marelli motorsport research team is always looking ahead to the possibilities to apply these ideas to mass production for the benefit of drivers all over the world. Alongside our energy recovery expertise, Magneti Marelli is also a pioneer in the growing electric side of motorsport as we have developed and produced high performance electric motors for Formula E.
For the internal combustion engine (ICE), the main consideration is high-power output coupled with light and compact dimensions and the entire process from concept through to production of fuel injectors developed for competition is completed in-house. This allows for full control of every stage of production, and gives maximum flexibility in the delivery of components for bespoke applications and fast integration into engines. Magneti Marelli firmly believes that the integrated design of electronics and mechanics is the key to offering the best solutions in terms of race performance and development flexibility. This flexibility is demonstrated by the new coils developed for Formula 1 GDI (Gasoline Direct Injection) motors. Each installation in a racing car is optimised to the specific requirements of the team thanks to the highest possible levels of versatility in design in terms of ignition power, breakdown voltage and mechanical installation.